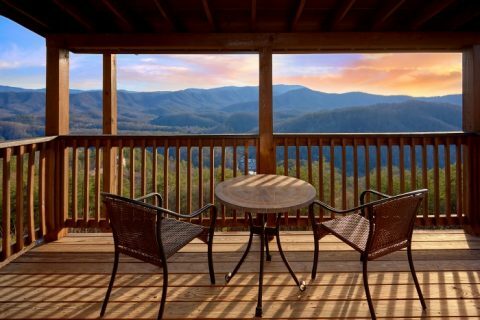 From this beautiful spot in the Smoky Mountains, you can enjoy a view that allows you to see for miles and miles. 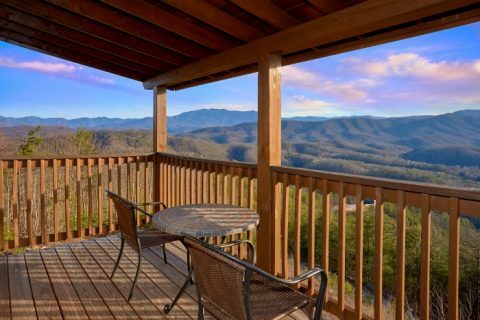 Best of all, you can have this secluded location all to yourself by booking "Breathtaker" today with Cabins USA Gatlinburg! 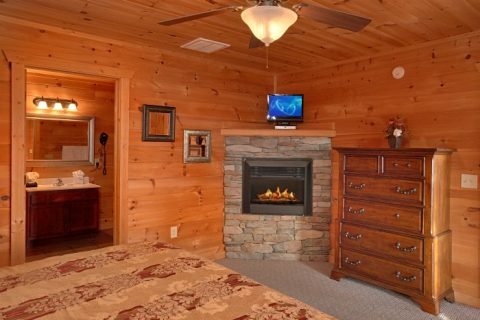 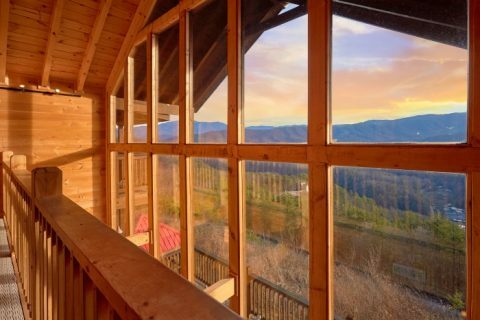 As one of our luxury cabins in the Smoky Mountains, this 5-bedroom lodge comes complete with an impressive set of amenities and plenty of space for up to 14 guests. 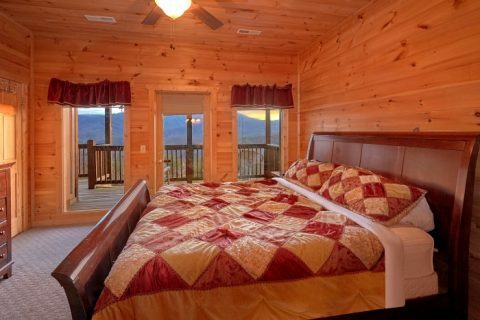 Altogether, this cabin provides 5 private bedrooms for guests to enjoy. 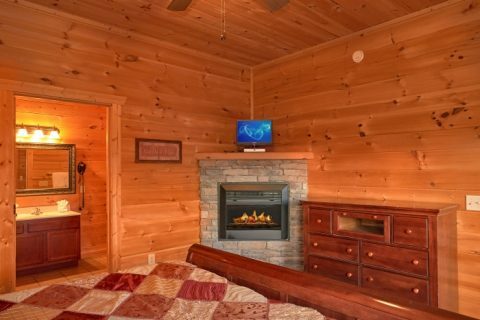 All of these rooms are master suites complete with king-size beds, a flat screen television, romantic gas fireplaces, and full baths with jetted tubs. 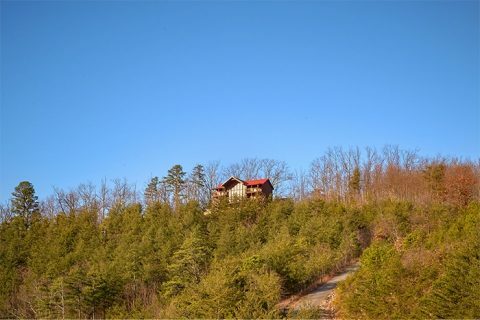 Two bedrooms on the top floor come complete with private decks for enjoying the mountain view. 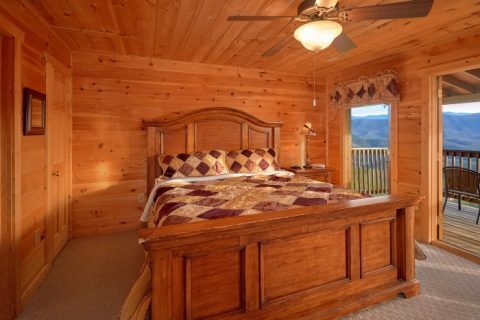 For extra sleeping space, this luxury cabin provides sleeper sofas in the living room and game room. 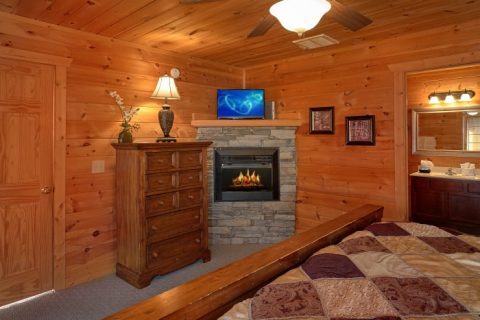 Wireless Internet access is available throughout this cabin. 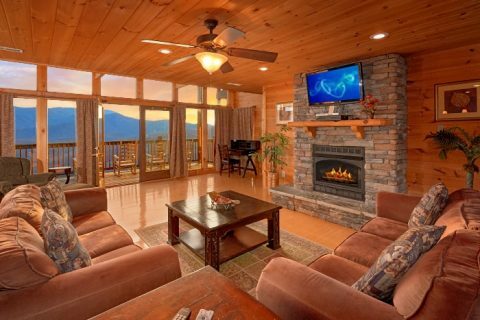 On the main floor of your cabin, you'll find a luxurious living room with large picture windows that showcase this cabin's gorgeous location with a view. 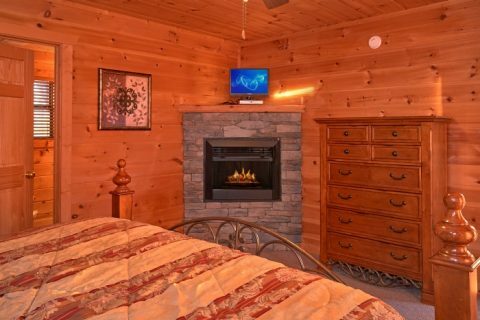 By the gas-log fireplace, you can watch your favorite shows and movies on the large flat-screen television that sits above the mantel. 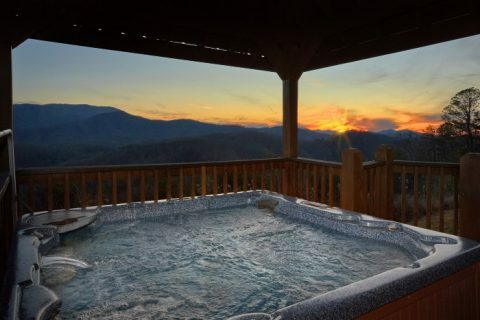 For true relaxation, simply step outside onto your cabin's covered deck and take a dip in the warm waters of the hot tub. 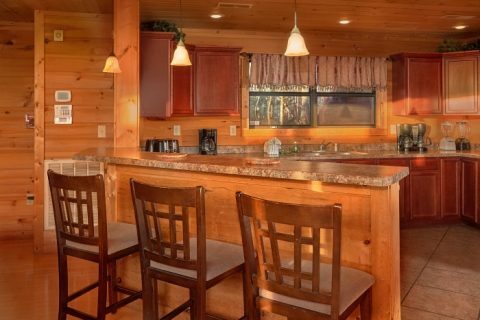 Nearby in your cabin's luxurious kitchen with granite counter-tops, you'll find all the basics you need for preparing great dinners in your rental. 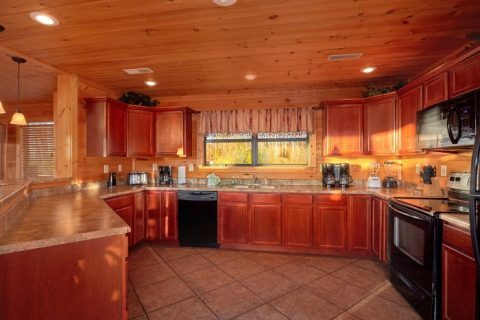 There's plenty of dining space thanks to the stylish table with 10 seats and the breakfast bar with 4 stools. 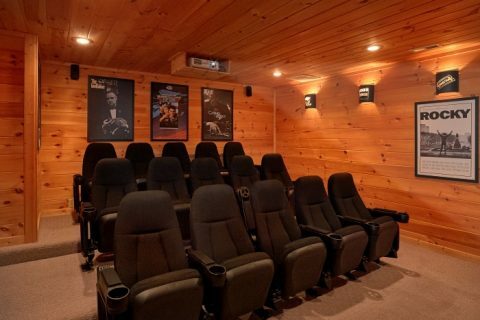 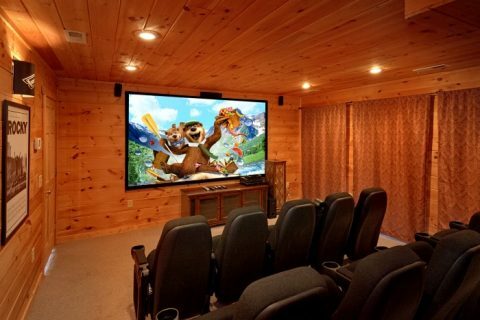 For the ultimate movie night on your Smoky Mountains vacation, everyone can gather in the theater room complete with authentic theater seats, a 9 FT screen, surround sound and a DVD player. 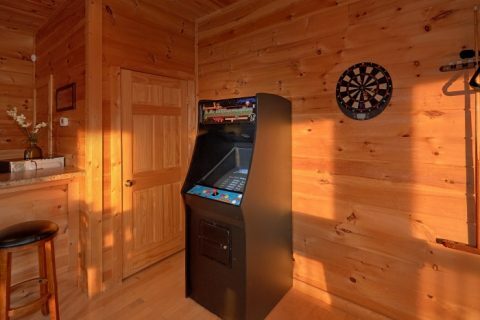 You'll find plenty of great in-cabin entertainment and some friendly competition in your rental's game area on the lower level. 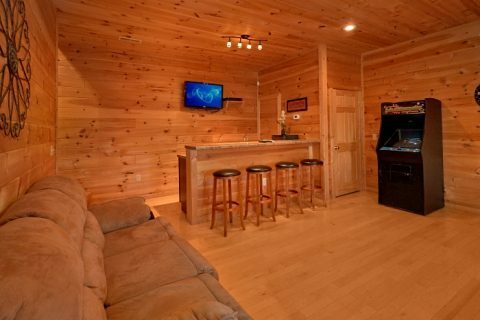 Play billiards, classic arcade games, or darts with your family and friends! 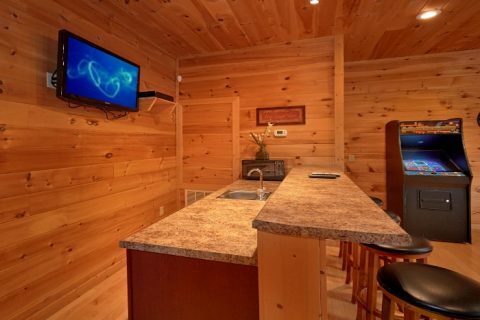 Additionally, this room features a wet-bar complete with a television, mini-fridge, microwave, and a pub table with chairs. 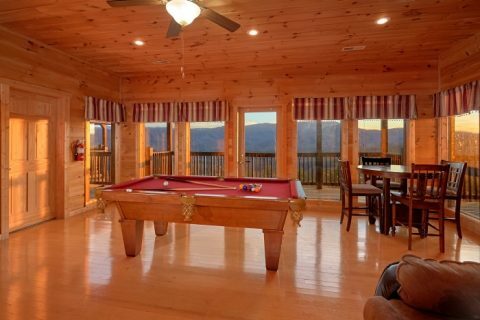 From the game room, you can step outside onto your cabin's lower deck with a lovely view of the Smokies. 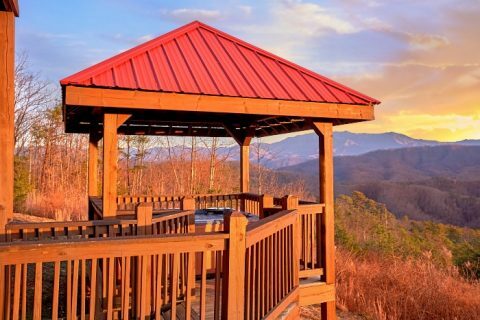 Thanks to your secluded cabin's prime location only minutes from town, you can be close to all the sights and attractions you want to see! 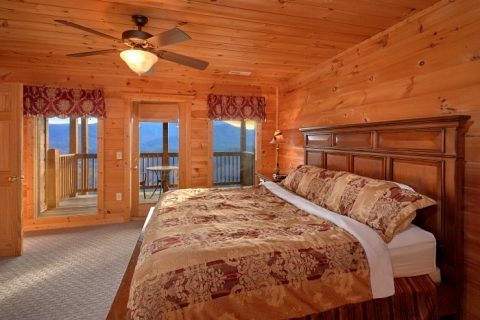 Whether you plan on experiencing Dollywood, walking through Downtown Gatlinburg, or hiking to waterfalls in the Great Smoky Mountains National Park, you can save your precious vacation time for doing exactly what you want. 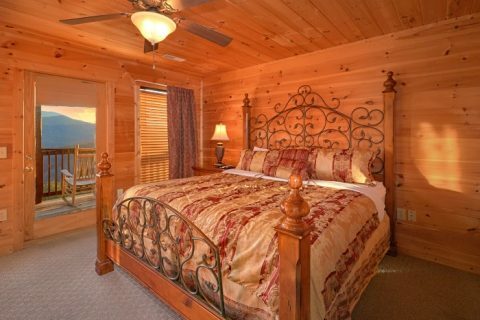 Book "Breathtaker" online today with Cabins USA Gatlinburg to save 15% on your nightly rate! 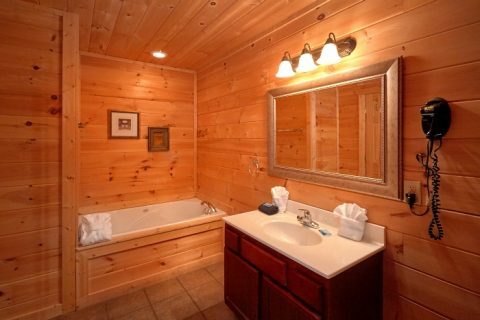 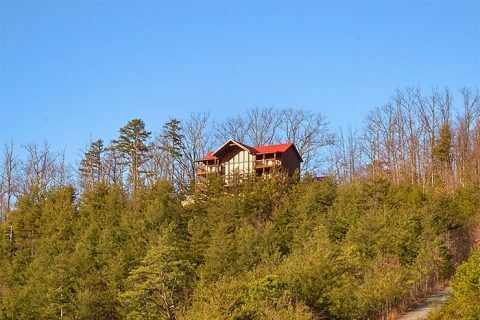 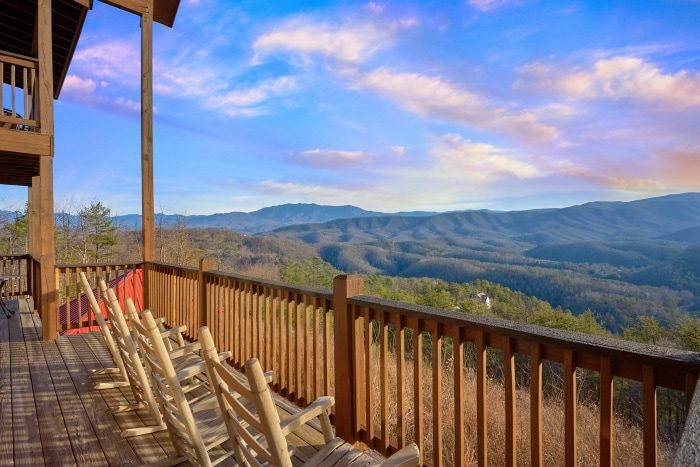 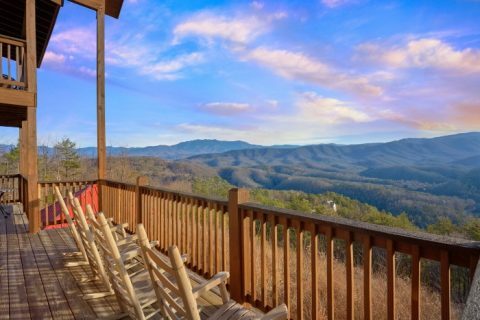 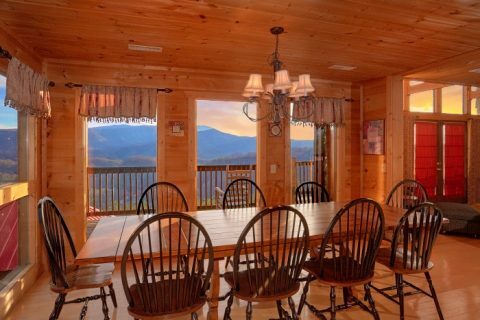 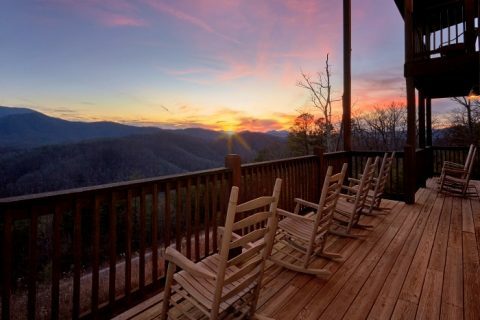 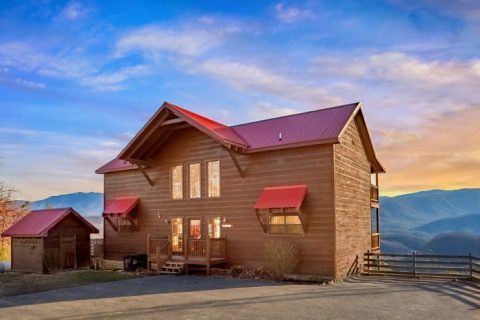 Enjoy true cabin luxury in the Smokies for an incredibly affordable price!